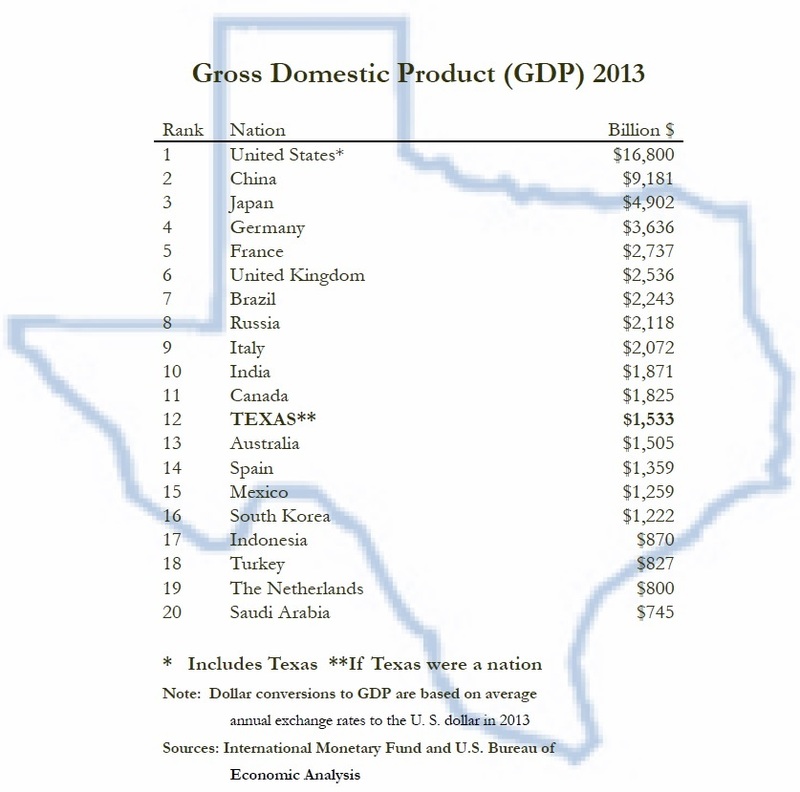 Did you know that Texas ranks 12th in GDP compared with other nations around the world? Texans generally love to boast that everything is ‘bigger and better’ in Texas. Sometimes this is just eager pride and sometimes it’s truly fact as it is if Texas was not a state, but a Nation. Texas' economy produced $1.533 Trillion in 2013, just ahead of Australia and trailing Canada in the rank of nations. This data was reported in 2014, but reflects 2013 economic data as reported by the International Monetary Fund and the U.S. Bureau of Economic Analysis.